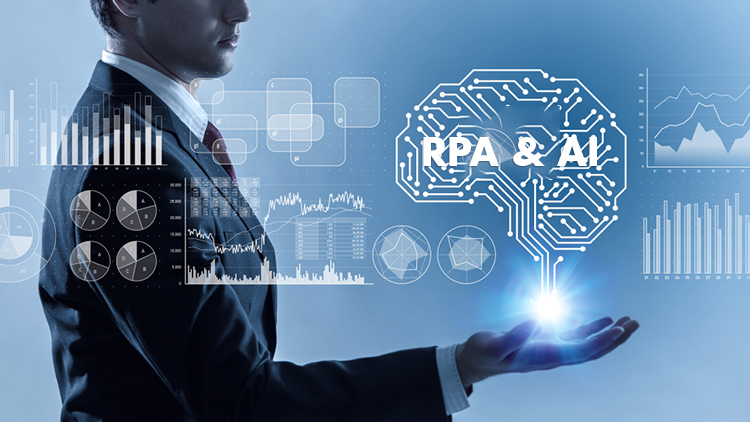 Grand View Research estimates that the current global market for RPA is worth $125.2 million, which it expects to grow to $8.75 billion by 2024. Undoubtedly the adoption of Robotic process automation (RPA) technology is on the rise in its ability to deliver quick ROI and enhanced control of the operations. Further, when combined with traditional business solutions, it can accelerate digital transformation by allowing organizations to visualize and monitor end-to-end business processes that lay the foundation for continuous process improvement. This platform can then serve as the base from which an enterprise transformation can be delivered. But RPA software adoption represents a pivot from people to a software-based model. This is a fundamental shift in the approach of business operations. As a business leader, why is this pivot so important? What is the business value that can be attained? Find the answers with the below mentioned top 4 benefits of robotic process automation technology. RPA is a rapid solution; easy to build and quick to implement compared to traditional solutions. The interfaces are intuitive and don’t require highly skilled resources. Instead of replacing existing systems, RPA solutions link together all the applications used in the current environment, making it non-disruptive and quickly integrating it into the existing ecosystem. 1. Transactions are recorded, and pre-defined steps are applied by software bots, preventing manual errors and providing full transparency to auditors. 2. Robots can perform daily tasks related to risk and compliance including execution of reconciliations and automation of routine controls reducing the workload for employees. improving customer experience as their number one goal. With multiple applications, customer data can be scattered within organizations. When the data gets manually updated in the systems, the end-to-end process that includes customer interactions can experience delays. RPA bridges the gap between multiple systems to enable nearly-real time updates. Manual tasks are accurately performed by software bots and employees get time to focus on delivering better customer experience and engage in more value-based tasks. The speedy adoption of RPA technology can be highly attributed to quick ROI and accurate results. Robots are more productive because they can work 24×7. In addition, the RPA implementation can yield a quicker ROI compared to traditional IT projects. RPA proof-of-concept can be accomplished within a few weeks without impacting the existing IT infrastructure and the final roll-out can be done within months versus years. As traditional approaches to process automation have become obsolete, it is essential to harness emerging technologies, such as RPA to deliver higher business value. Nividous has built a robust robotic process automation solution called Nividous RPA which is used by several leading enterprises globally across the industries.